The Supersuckers have in the last few years become one of my favourite bands. I'd love to say I owe it all to Keith, the old CFUV station manager. But I actually got into the Supersuckers through Steve Earle. I got this shirt at the Country Show at the Starfish Room. 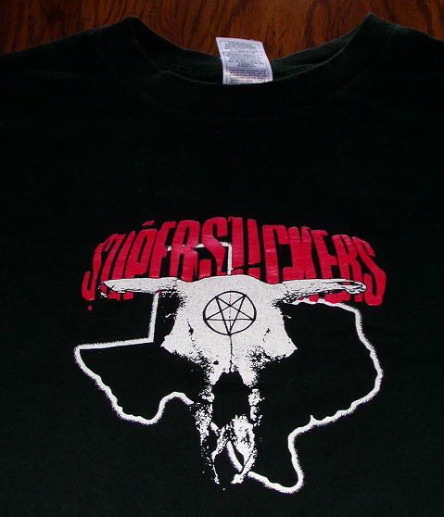 I got my country Supersuckers t-shirt at a rock show. I tried to buy the "How to increase your kill count" t-shirt but it was sold out by the end of the show when I went to buy it.